This beautifully breezy smocked crop top is such a must-have for summer fun! We love the adorable tie strap details and smocking! The material is so lightweight and soft - you'll feel like you're on vacation all year long! This adorable striped cropped tank is sure to steal your heart! We are falling in love with the timeless print! And the material is lightweight and so easy to love! Just add a solid color bottom and sandals to complete this fierce look! This delicate blouse is so perfect for any occasion to remember! 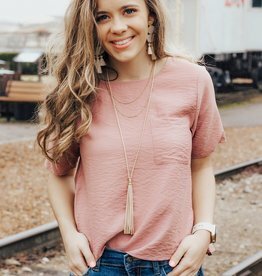 We love the fun mauve pink color paired with the simplicity of the pocket tee style - it's such a lovely look! It's so adorable when paired with white jeggings and wedges! Keep it Easy Breezy in this adorable light pink tank top this season! We love the unique open back detail. Pair this with your favorite pair of leggings and sports bra for an easy on-the-go look! 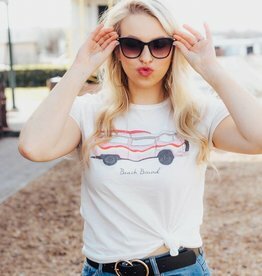 Spring Break is right around the corner and this graphic tee is PERFECT for a fun day on the beach! Pair this awesome graphic tee with some ripped denim shorts and sandals for an easy & stylish vaca look! 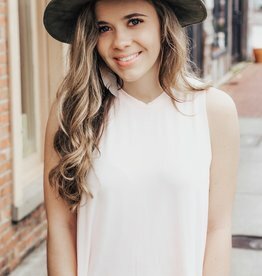 This stylish cropped tank is such a beautiful way to bring some beachside boho style to your summer closet! We are falling in love with the timeless white color - it's sure to pair with anything! This pastel tone sweater is the perfect transitional piece for this spring! The lightweight material is so soft & cozy. Pair this with jeans or denim shorts for an adorable and chic look for this spring semester! Looking for the perfect bodysuit for your next Girls Night Out? We have got you covered! This snakeskin bodysuit is the perfect shade of tan and would be great to pair with your favorite pair of black skinnies or a mini skirt. Enjoy that sweet summer breeze in this adorable casual twist front top! This casual tee has such a soft material with a fun. Match the twist front top with your favorite denim shorts for fabulous summer fashion! Are you prepared for Spring? 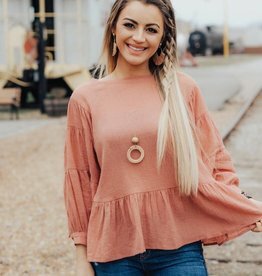 Get ready with our new Prepped & Ready ruffle blouse! You can wear this pink beauty with jeans or skirt for an adorable daytime look!